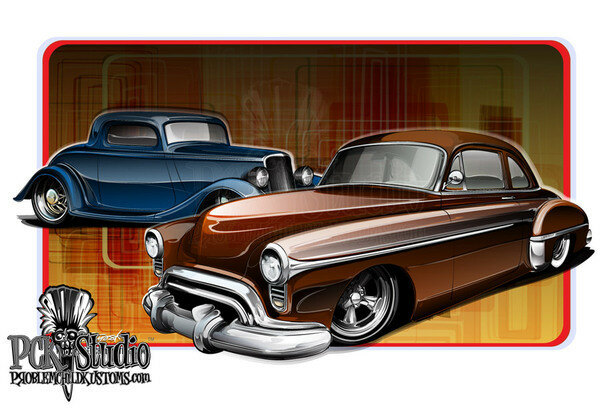 Hot rod design, custom car design and renderings. Street rod and mild custom. A rendering depicting a mild custom 1950 Oldsmobile (with a 1960's-era style), and a traditionally-styled 1933 Ford coupe.